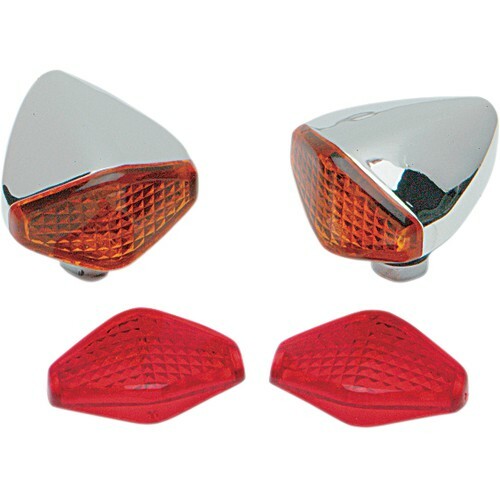 Chrome plated body and unique red and amber diamond shaped lenses. Each has a 1/4" mounting stud with hole for inconspicuous routing of wires. Measures approximately 1-7/8" W x 2" L x 1-3/8" H.